What Happens When a Dark Money Group Blows Off IRS Rules? Nothing. To see how easy it is for a dark money group to ignore the Internal Revenue Service, look no further than the loftily named Government Integrity Fund. The Fund, an Ohio nonprofit, spent more than $1 million in 2012 on TV ads attacking Ohio Sen. Sherrod Brown and praising his Republican opponent, Josh Mandel. Now the Fund's tax return, which ProPublica obtained from the IRS this week, indicates that the group spent most of its money on politics — even though IRS rules say nonprofits like the Fund aren't allowed to do that. The Government Integrity Fund was founded in May 2011 and applied later that year for IRS recognition of its tax-exempt status, swearing under penalty of perjury that it would not engage in politics but would instead "promote the social welfare of the citizens of Ohio." 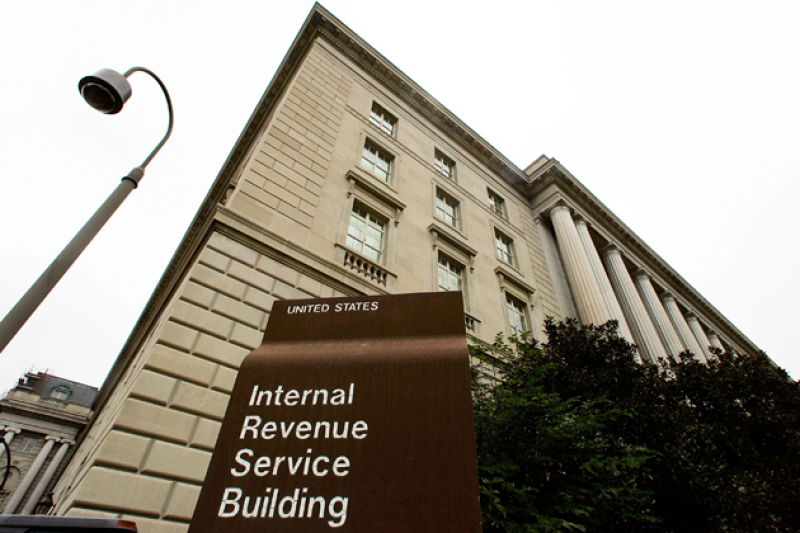 Within two months, the IRS had recognized the group. It then devoted much of its resources to backing Mandel's unsuccessful bid to unseat Brown. As previously detailed by ProPublica, the Fund was linked to a former top Mandel staffer. The Fund's return highlights the ways such nonprofits, known as dark money groups because they are not required to disclose their donors, can skirt IRS rules designed to limit their political activities. Such groups are playing an increasingly prominent role in elections, spending more than $256 million on election activity in 2012. Dark money groups can spend money on politics as long as they can persuade the IRS that their primary purpose is social welfare. This can lead to quite creative accounting on tax forms, with groups describing ads that should qualify as political under IRS rules as "education" or "issue advocacy." On the Government Integrity Fund's latest tax return — for 2012 — the group told the IRS it spent $5.2 million overall. Of that, $2 million went to two super PACs — mostly the Fund's sister super PAC, the Government Integrity Fund Action Network — which then used the money to pay for different ads than the ones the Fund bought. According to the filing, this $2 million made up all of the Fund's political spending in 2012. If the Fund had categorized the additional money it spent on the ads as political, almost 60 percent of its expenditures would have gone toward elections — which would seem to violate IRS rules that say a social welfare nonprofit's primary purpose can't be politics. "Josh Mandel served our country with two tours in Iraq," one ad said. "Now he's fighting for taxpayers, fighting for our future." Another slammed Brown, contrasting his performance in 2012 with that of his younger self. "Young Sherrod Brown voted more for Ohio," it said. "Today's Sherrod Brown — he just votes the party line. Where did the young Sherrod go?" The ads stopped short of telling people how to vote, but three nonprofit experts who reviewed them for ProPublica said they all qualified as election ads under IRS rules. "There's no question," said Brian Galle, a Boston College associate professor of law who has written about political activity by nonprofits. "It's not even close. They're blatantly political advertisements." The Fund now appears to be inactive. Its website is no longer operating. The Fund's president, Thomas Norris, who signed its tax return, did not respond to requests for comment. "I think they existed solely to help Josh Mandel," said Justin Barasky, the Brown campaign's communications director, this week. Unraveling what the Government Integrity Fund spent in 2012 wasn't possible until recently because the group didn't file its tax return until January of this year, when it was two months overdue. The long wait highlights one of the major problems with regulating dark money groups and their spending: The IRS typically doesn't look at these groups until a tax return is filed, often more than a year after an election has been decided. Even with the return in hand, several aspects of its operations remain confusing. In one spot, the group says $4.6 million of its $5.2 million in expenditures were made as grants "and similar amounts paid." But it doesn't identify which groups received the grants, as the IRS requires, or what the "similar amounts paid" might have gone toward. At the end of the form, the group says only $1.1 million went toward grants — again, without saying who received the grants — with the rest of the $4.6 million going to its sister super PAC and what it classifies as "public education." The group offers no details on what the $1.5 million attributed to education included — mathematically, though, it would have to include the ads it bought related to the Brown-Mandel race. Experts scoffed at the idea that the ads qualified as education. "There's no way you can claim these are education. If this is public education, then everything is public education," said Donald Tobin, a law professor at Ohio State University who specializes in the intersection of tax and campaign finance law. "These are clearly designed to be political ads to benefit or oppose a candidate. And that's not social welfare activity." The Fund attributes its remaining expenses mainly to fundraising fees paid to three companies. No records could be found for two of the three companies. And, according to the return, none of them raised any money for the group. The nonprofit is not alone in how it categorizes its ad spending, as detailed in past ProPublica stories. For example, one group, the Coalition for American Values Action, told the IRS it spent $508,491 in 2012, almost all of it for the " creation of videos to educate Americans on various issues that affect their lives," and said it spent nothing on politics. Yet it actually donated more than three-quarters of its money to a political action committee that bought election ads. It's an open question how vigorously the IRS, which doesn't comment on individual taxpayers like the Fund, will pursue groups for irregularities. The agency has revoked the nonprofit status of only one social welfare nonprofit, a liberal group, and its affiliates since the Supreme Court's Citizens United decision in 2010 paved the way for dark money groups to pour hundreds of millions of dollars into outside election ads. Experts on nonprofits say the IRS has taken an even more hands-off approach since top officials admitted the agency had targeted applications from conservative groups for extra scrutiny, sparking a scandal and investigations. The IRS has proposed new regulations to curtail political spending by social welfare nonprofits, but the agency has acknowledged that there's virtually no chance the regulations will be in place by this year's midterm election. "This kind of nonsense just shows that the IRS should remain committed to a meaningful set of reforms, even if they can't get them done in time for this election cycle," said Galle, the law professor.